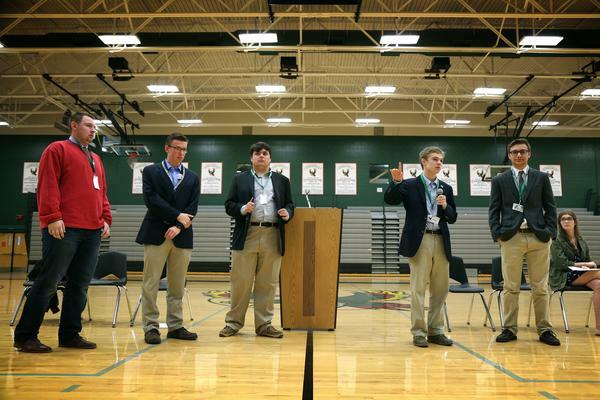 Six Kansas teens are running for governor, following the lead of Jack Bergeson (center). 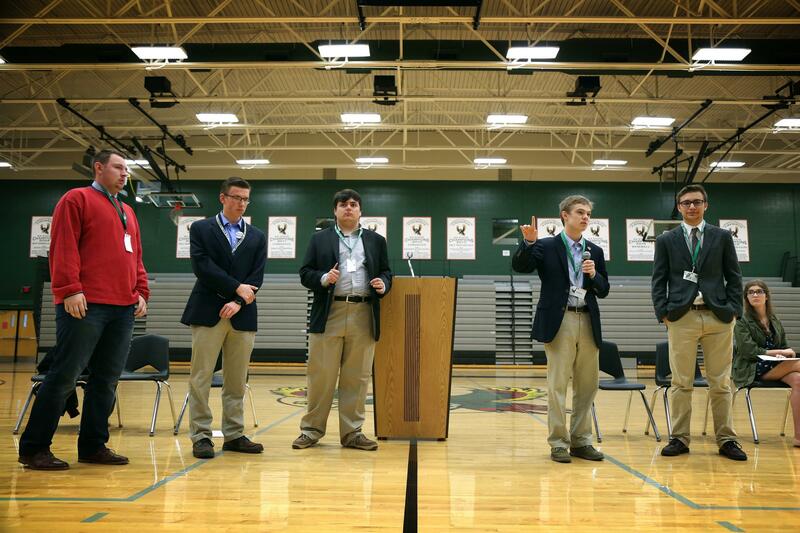 Some of the candidates are seen here participating in a forum at a high school in Lawrence, Kan., in October. So into the race jumped then 16-year-old Jack Bergeson. Calling himself an anti-establishment candidate, Bergeson is pursuing the Democratic nomination, advocating for a $12 minimum wage, legalization of medical marijuana, and high-speed rail for major cities in the region. Two more teen boys threw hats in the ring, spurring Kansas lawmakers to try to put a stop to such youthful exuberance. Republican Rep. Blake Carpenter introduced a bill requiring candidates to be at least 18 years old to run for the state's top elected offices, such as governor, secretary of state or attorney general. And candidates for governor and lieutenant governor would have to have lived in the state for four years.